Lionel Messi does not need to win the World Cup to be considered an all-time great, according to Zico. Despite his enormous success with Barcelona, the biggest prize in international football has eluded Messi so far, with Argentina only reaching the final in one of the four World Cups the five-time Ballon d'Or winner has appeared at. 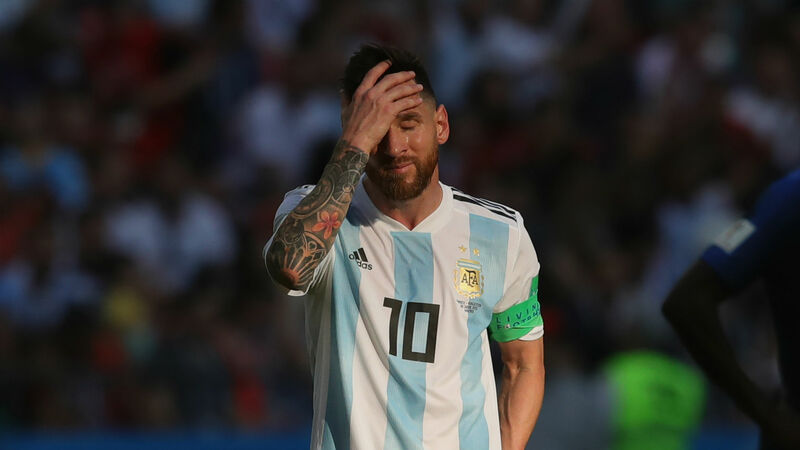 Argentina's latest campaign ended in the knockout stages at Russia 2018, losing to eventual champions France, and – with Messi set to be 35 by the time Qatar 2022 takes place – his chances of clinching the prize look remote. However, Zico, who did not win the World Cup during in his 10 years as a Brazil player, has claimed Messi should not need to secure that trophy to prove his quality. "It is not a frustration," Zico told Omnisport when asked about never winning a World Cup. "People nowadays think only of achievements. I think that your career, your work is the most important. "Football is a collective sport and many times it doesn't depend on you playing well. It depends if the team is playing well. "Sometimes you decide games, but you can't decide a competition. "So, Messi's merit is not undone because he hasn't won a World Cup. "[Johan] Cruyff didn't win any World Cup and was one of the great players of history and he will always be. And many others the same. "It is too much me, and not us. If you take a young man he doesn't ask about your career, he asks: 'Have you been the best in the world? Have you been the best of this, or that?'. "Everything is based on being the best. Football is a collective game, not and individual game." And Zico added that what makes Messi – and Cristiano Ronaldo – stand out from the current generation of players is their ability to put their respective teams ahead of personal accolades. "Both Cristiano Ronaldo and Messi never ever stop playing for the team," said Zico. "If I were young today, they are players on which I would mirror myself. Players of this level, play for the team. "Players that are the best because they prepared themselves to bet You don't see these players going out, on social media, skipping training to be in parties. "They take care of themselves in order to have a good individual performance, but they know that this benefits their clubs."